Here is the second part of Complex Sentences. This interactive video presents little scenarios that act as prompts for students to create complex sentences. Sometimes, it's hard to know if the verb in a sentence should be singular or plural. 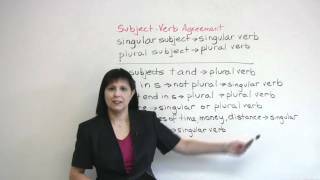 Learn more about such tricky cases in this short grammar lesson and take the quiz at http://www.engvid.com/subject-verb-agreement/ . 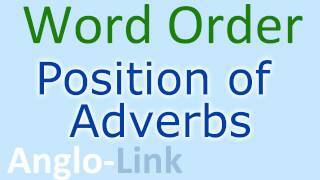 This English lesson on word order will teach you about the position of adverbs in an English sentence. 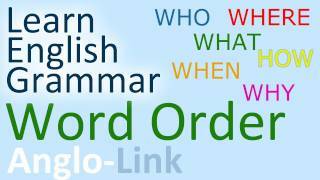 This English grammar lesson on word order will teach you about the sentence structure of phrases in the English language. 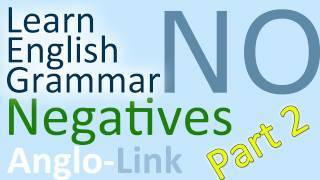 Part 2 of our English lesson on forming negatives in the English Language. Mr Shorty explains how to organise a sentence and tells you which type of words come first and last. Describes the correct word order to be used in sentences and questions. Using the correct word order, with a verb and an adverb, in sentences. This animation teaches the learner to define, identify, transform declarative,interrogative, imperative and exlamatcory sentences. This animation teaches the learner to transform affirmative and negative sentences ,interrogative and assertive sentences, exclamatory and assertive sentences interchangeably. This animation teaches the learner to define a sentence and a subject and a predicate as parts of a sentence and learn to identify them in sentences. This animation teaches the learner to define a statement, question and order, identify a given sentence as a statement, question or order, change the question into a statement, change the statement into a question and reorder words to form an order. This animation teaches the learner to define and identify simple, compound and complex sentences. This animation teaches the learner to define and identify the direct and indirect object of a verb in a sentence. This animation teaches the learner to define a declarative or assertive sentence, interrogative sentence, imperative sentence and exclamative sentence.This is a product of Mexus Education Pvt. Ltd., an education innovations company based in Mumbai, India.